This article has been brought to you by: Donnie – He’s new to TheTraveller team and I’m too lazy to write a bio about him. So watch this hilarious video and subscribe to his YouTube channel and his Facebook page. 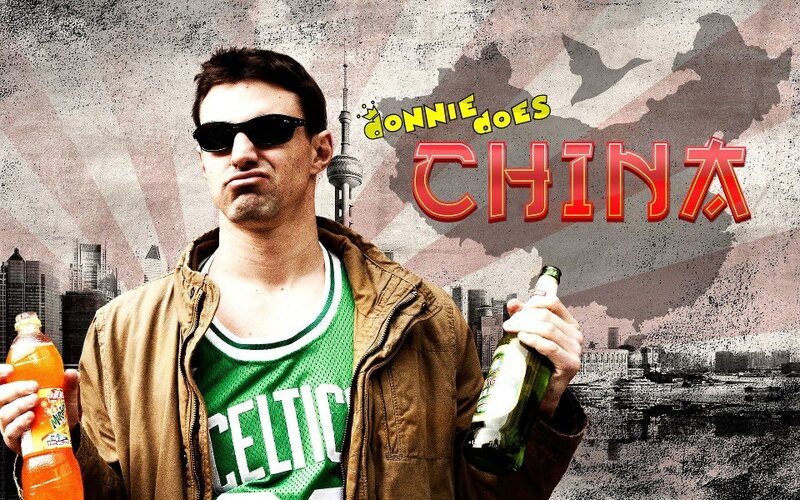 Although most of Donnie’s videos are about China, this article is about Thailand. Enjoy. The Full Moon Party. I had heard the stories. I knew what to expect. I thought I’d be able to handle it. I was WRONG. I was very WRONG. For those who don’t know, The Full Moon party is an all night rave that happens every full moon on a beach on Koh Phagnan Thailand. Now I had been to all night raves before and been just fine. The difference between this rave and other raves is that instead of serving drinks, they serve “buckets” of booze that contain close to a 5th of alcohol in them. The other pretty big difference between past raves I had been too was that this one openly served magic mushroom shakes at one end of the beach. Now I made two crucial mistakes at this party. 1. I drank the buckets as if they were normal cocktails instead of sharing them with friends and 2. Once I was borderline blackout drunk I decided to drink two mushroom shakes. I AM AN IDIOT. My experience in the ocean seemed to sober me up and calm me down so my friends and I then just decided to take a leisurely stroll down the beach people watching as the sun rose. We passed one area of the beach that my friend coined “The Elephant Graveyard” as it was filled with heaps of passed out party-goers. When we ended up leaving the beach at around 9:30 the next morning, large swaths of the beach were still raging with huge groups of neon-clad revelers dancing to house music. Once the sun rose we could see how completely trashed the beach was with buckets, paint, straws, clothes, water bottles, and humans. It was depressing at the time but when we came back the next day, the beach was PRISTINE. Not a single piece of trash in sight. I have absolutely no idea how they did it. The Full Moon party scene is definitely not for everyone. However if you do go, I can say there’s no real need to get extremely drunk or do a lot of drugs, as the atmosphere there is insane enough. Obviously I didn’t listen to my own advice because as I said earlier, I’m an IDIOT. I’m glad you were an idiot and did this, because now I get to read about it and live vicariously. I wasn’t brave enough to have the shroom shakes when I went to the Full Moon Party – just went crazy with the neon paint! Haha… pretty entertaining. You need to watch that video! Interestingly, Bridget Jones had the same reaction to shrooms in The Edge of Reason. Do you think perhaps this was in your subconscious when you decided to take a dip? I’m not sure if I would love it or hate it.